How to Cite - Tools, Tricks, & Tips for Managing Citations: Need More Comprehensive Comparisons? 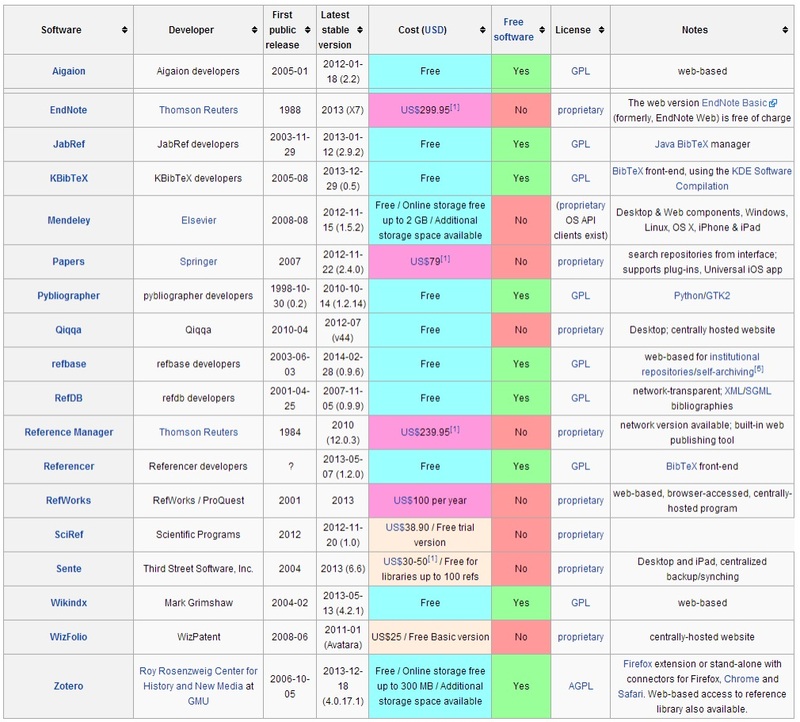 Your best bet for comprehensive details on different programs is Wikipedia's page -- Comparison of reference managment software (link below). The following table is just one of several tables listing specific details.